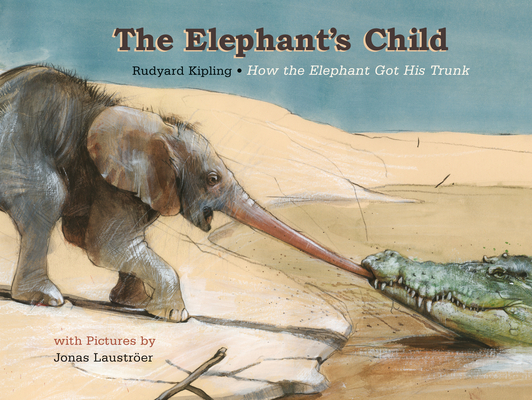 The tale of how the elephant got its trunk is one of the most beloved of the Just So Stories Rudyard Kipling wrote for children. The insatiably curious elephant's child peppers every animal he meets with questions about the mysterious crocodile who lives on the banks of the Lompopo River. When he finally meets the crocodile, he nearly becomes dinner. This rollicking story and Jonas's Laustroer's vibrant art have the makings of a modern classic. Rudyard Kipling was an English journalist, short-story writer, poet, and novelist. Kipling's works of fiction include the classic Just So Stories and The Jungle Book. Jonas Lauströer studied at the Hamburg University of Applied Sciences, with a focus on illustration, and now lectures in 3D animation. He is the illustrator of The Hare & the Hedgehog, a Grimm tale published by minedition.